The solution is as simple as filtering and treating our stormwater runoff ongoing…. We believe tourists want to know it is safe for their children to play in every part of the ocean during their Summer vacation. Parents don’t want to have to guess where it is safe and where it is unsafe. 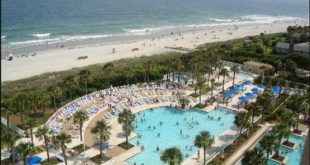 Any Myrtle Beach area local reader of MyrtleBeachSC.com would have to be in a coma not to know about the recent media attention our news team has been given. One area TV station broadcasting the complaints of City of Myrtle Beach spokesman Mark Kruea, as well as Brad Dean of the local Myrtle Beach Area Chamber continues to show our team is making an important impact on encouraging positive improvements in our area. By putting increased sunlight on Myrtle Beach’s current Long Term Advisory poor ratings by the State of SC Department of Health And Environmental Control, residents have now come out of denial and are actively looking for solutions to cleaning up our local storm water run off issues. 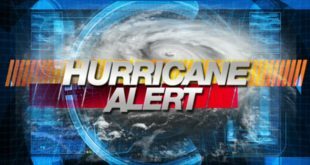 We were told just this morning by the OceanWatch Marriott Timeshare in Myrtle Beach that the swashes in their area have now been given an all clear by the city of Myrtle Beach. We are also being told that DHEC is just now testing our entire area. We look forward to hearing news, soon, of those results. Moving forward, the ongoing solution is as simple as treating and filtering our storm water runoff bacteria tinged waters before they reach the ocean. Larry Schwartz served for 8 years as Regional Water Quality Manager at the Waccamaw Regional Council of Governments was hired by the city of Myrtle Beach 35 years ago to do a study for solving this issue. He offers the very solutions that will solve these problems even today. Below is a recent comment Larry made in the comments section of one of our news articles on this subject. You can see his comments here and here. 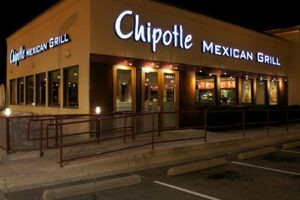 Most Americans are aware of the issues Chipotle grill has had with serving contaminated food. Consumers simply don’t care about Chipotle’s internal issues, nor whether the company is making or losing money. Consumers want to eat healthy, good quality meals. In the article WBTW ran above, you would think our tourists’ main concern is whether Myrtle Beach Area Chamber members are making or losing money. Listen to what Brad Dean of the Myrtle Beach Area Chamber of Commerce says, “We will increase our marketing efforts if that is necessary.” Is that what tourists want? An increase in marketing dollars spent by taxpayers? On the contrary, we believe tourists want to know it is safe for their children to play in every part of the ocean during their Summer vacation. They don’t want to have to guess where it is safe and where it is unsafe. As long as any area in Myrtle Beach remains on a DHEC Long Term Advisory, these tourists will continue to have questions. Vacationers have lots of other options and they will choose the safest beach for their family. Myrtle Beach residents (like me) want exactly the same thing…A safe place to put our toes in the sand. 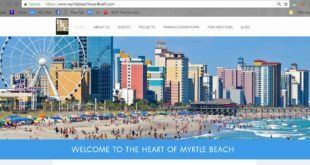 If you listen to the News above, you would think the reporting by MyrtleBeachSC.com concerning Myrtle Beach’s 4 year long ongoing poor DHEC ratings is the “problem” for the our area. As we have communicated with you online, we have heard that the DHEC advisory ratings have been your key concern and a lack of a definitive word on what is true from our Mayor or City Manager has kept you in a state of confusion. (As it has us) MyrtleBeachSC.com believes 14 local beach areas currently listed on the State’s Long Term Advisory will continue to be the issue until we get word from DHEC or an elected city official. 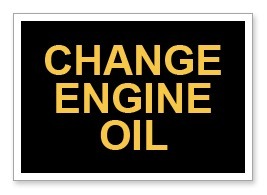 The Change Engine Oil light on your car is not a problem. However, not changing the oil will soon be a problem if you do not pay attention. 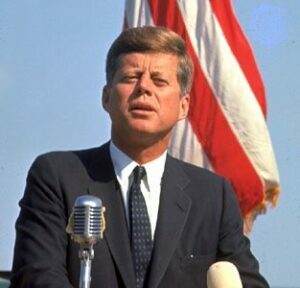 As recent as 55 years ago, America did great things. We put people on the moon. That generation of Americans said anything was possible. From following TV news like above, it is clear that some of today’s leaders prefer to sling mud rather than solve problems. We have recently locally lost great men from that era like Doc. Burgess, Clay Brittain Jr, and Harold Clardy… If these great former, local leaders from our past including: Craig Wall Jr, George Bishop, Bob Grissom, C.L. Benton, F.G. Burroughs, Simeon B. Chapin, and John Monroe Holliday could see for themselves what this generation of leaders’ lack of planning and attention has done to our local beach, their tears alone would cleanse these 14 infected areas. While recent relocated residents at Market Common are not aware of these past giants, the same Spirit that lived in these men now lives in our new residents. We have the will and the courage to face and solve long term problems. Right now, for Myrtle Beach that means treating and filtering our storm water run off ongoing to both remove and prevent any future need for a DHEC advisory. MyrtleBeachSC.com continues to believe the key role of local media is to hold local government accountable. If our news site is doing any measure of that, then we are doing our job well. In a strange way these local media attacks have actually just highlighted and confirmed our goal, to provide unbiased, uncensored, local news. However, at the same time, these reports have only been a distraction to the issues regarding the long term water quality of our ocean water within the city of Myrtle Beach. These questions remain, without clear long term answers from city government both for us and our readers as well. It is to this, that we once again want to direct the conversation. Testing our beach waters to ensure they are safe for now is a top priority and we commend local government for that. Getting off the DHEC long term advisory by filtering and treating our storm water run off is the next logical move.